We all never lose a chance to doll up for our best friend’s wedding. Alia Bhatt is no different. 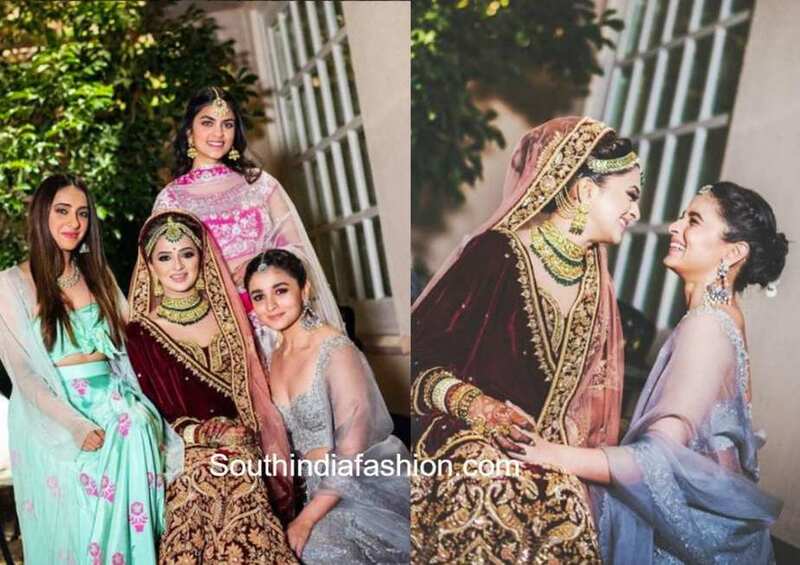 At her best friend’s wedding in Jodhpur as a bridesmaid Alia Bhatt rocked it in all avatars for each of the scheduled events. 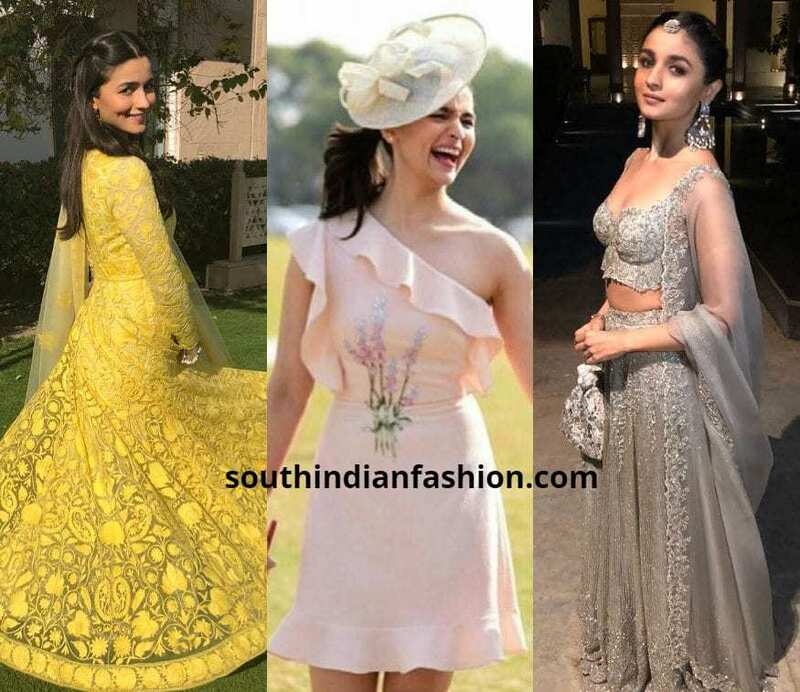 The internet is now filled with these pictures and Alia is giving us major goals of how bridesmaid fashion is done right. Don’t you think this setting looks just like a part of some fancy Derby? 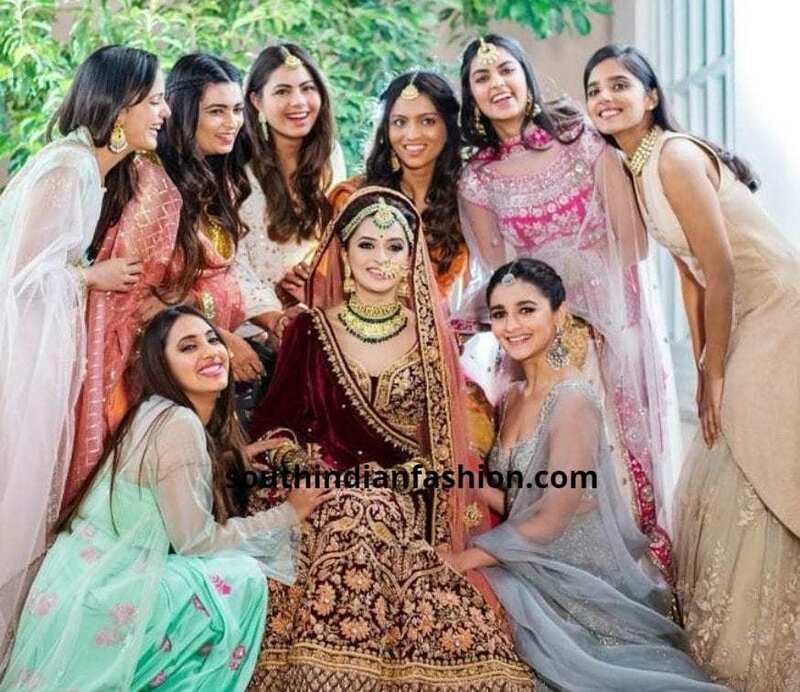 This was the theme of the pre wedding brunch of Alia Bhatt’s best friend Kripa Mehta. The polo theme pre wedding brunch saw the bride and the bridesmaids doll up in gorgeous western outfits with those interesting fascinators and hats. 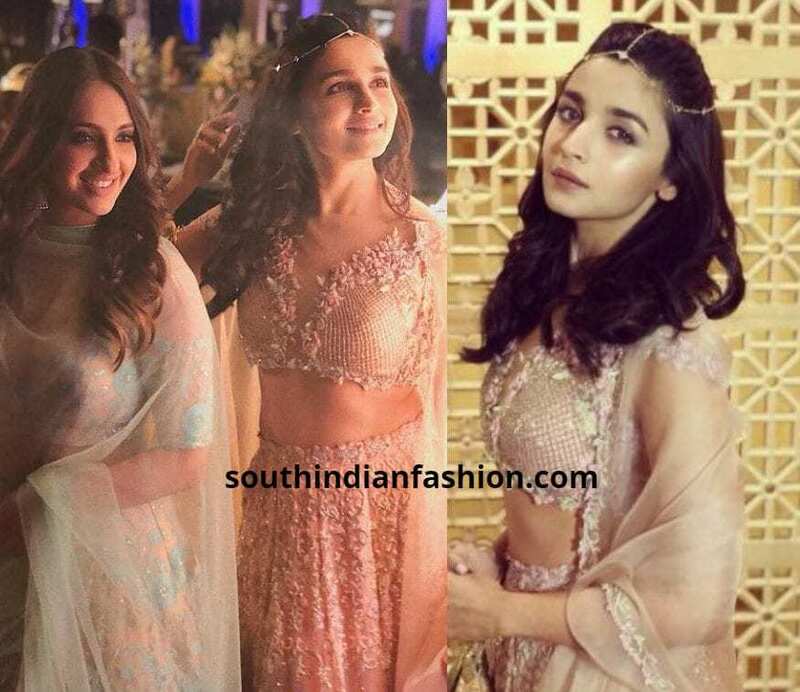 Alia Bhatt looked cute as a button in her pale peach Gauri and Nainika ensemble. The fascinator is by Delna Poonawala. 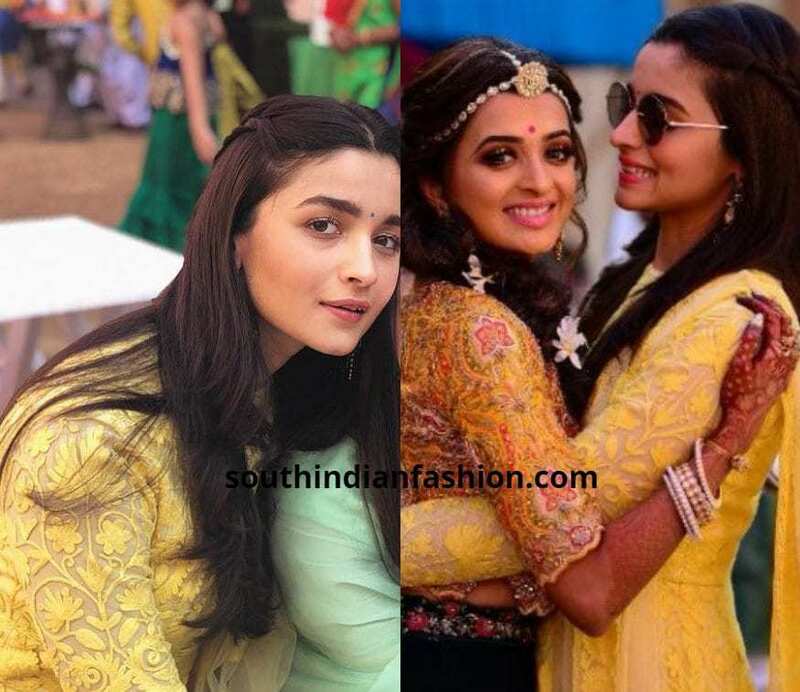 For her BFF’s Haldi/Mehendi Alia Bhatt chose to wear a sunny yellow flowy full length Anarkali by Manish Malhotra. This dress is sure to create waves this wedding season as it is perfect bridesmaid style. She finished off her look with simple hair parted in the middle, heavy earrings and a small bindi. 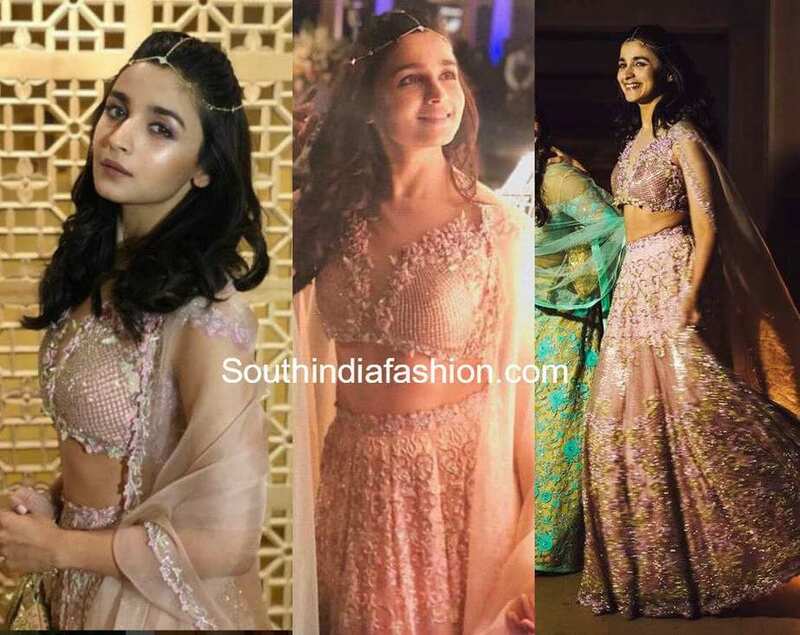 For Kripa Mehta’s sangeet, Alia chose this amazing pink concoction by Koecsh. 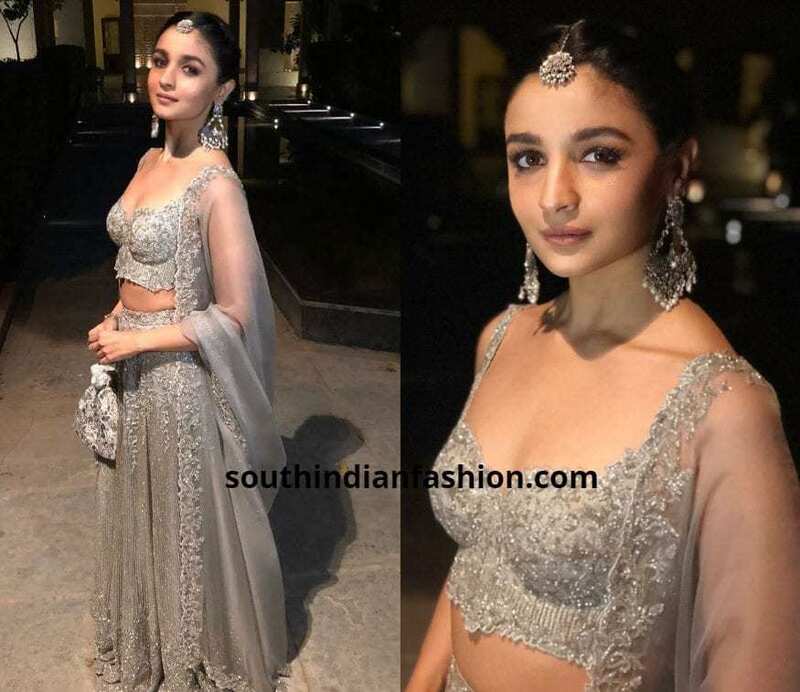 Alia kept the rest of her look simple with dewy makeup. The attraction was that delicate maang tikka that she had on. This is by Isharya and all you lovelies who want to capture this look, you can buy this maang tikka from here. 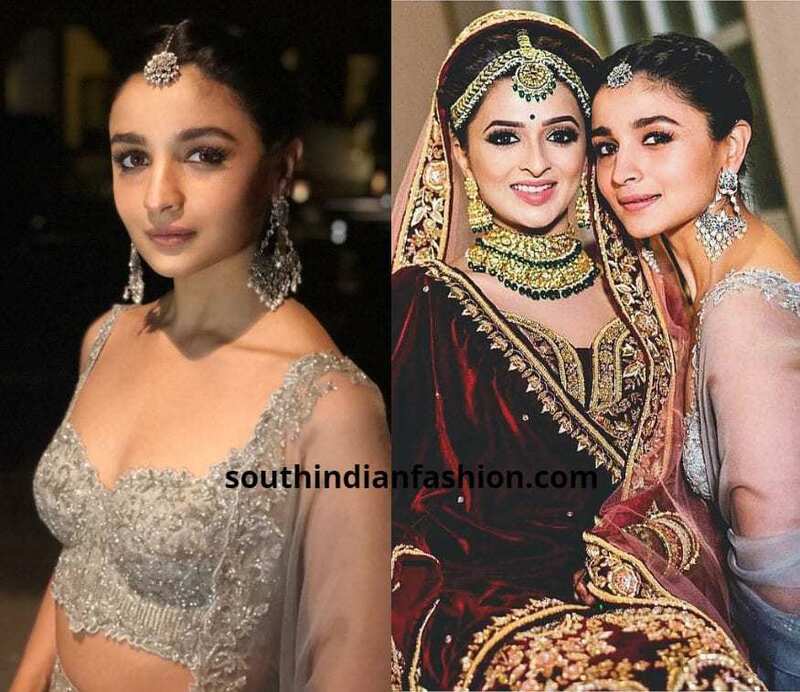 The next outfit and look of Alia Bhatt for her friend’s wedding is phenomenal. What do you think happens when someone wears a Koecsh moonlight lehenga in pearl grey and pair it with Amarpali jewelry? Instant effect is awesome. 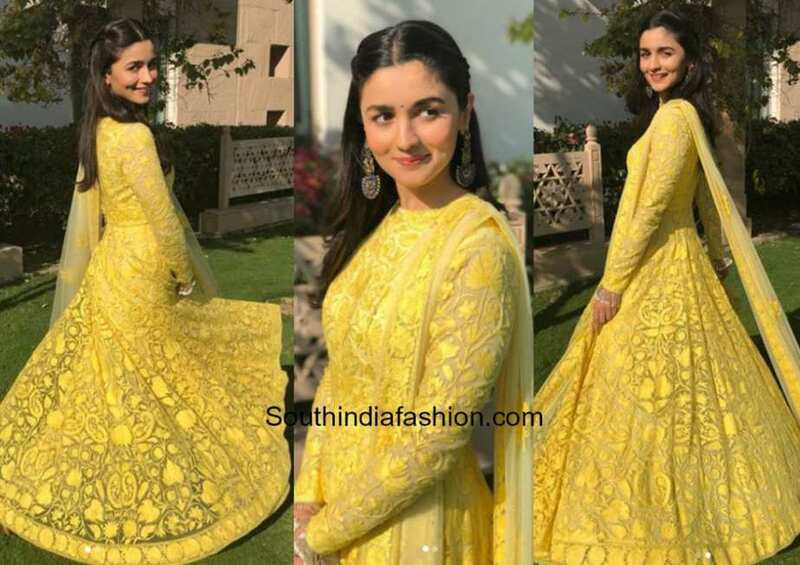 That is how Alia Bhatt looked for her friend’s wedding in Jodhpur. The bare neck with only heavy earrings and yet another delicate maang tikka is so going to be the style for this wedding season without a doubt. To complete the look she had a potli in the same color. Every bride to be would just love to copy this look for any pre wedding ceremony. 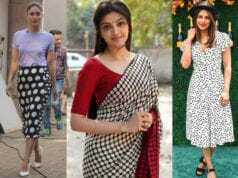 All these looks can be rest assured the style for the coming wedding season. So all you brides to be and bride squad you need not debate any more about your looks for you already have the best here!! !